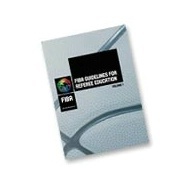 The following is the full FIBA Guidelines for Referee Education Series. To view, press the respective 'play' button at the bottom left of any video, the click the 'full' screen' button at the bottom right of the video to maximize the video. View all the videos in the playlist by clicking or tapping the video playlist menu at the top left of the screen below.